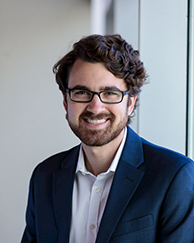 Andrew McClellan’s research interests are in microeconomic theory, experimental economics and behavioral economics. His papers have focused on the impact of information on mechanism design and have studied questions such as how information revelation affects auction revenue and how to incentivize the production of information. McClellan earned a PhD in economics from New York University. Additionally, he holds a BA in economics and a BS in mathematics from the University of Texas.